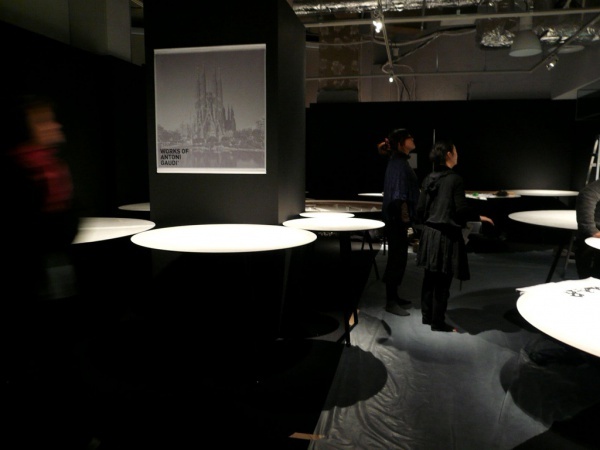 This is the second part of a charity art exhibition held by the National Federation of UNESCO Associations in Japan to promote World Heritage related activities. 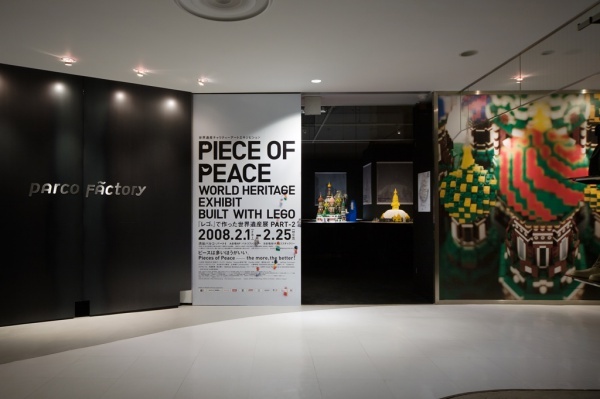 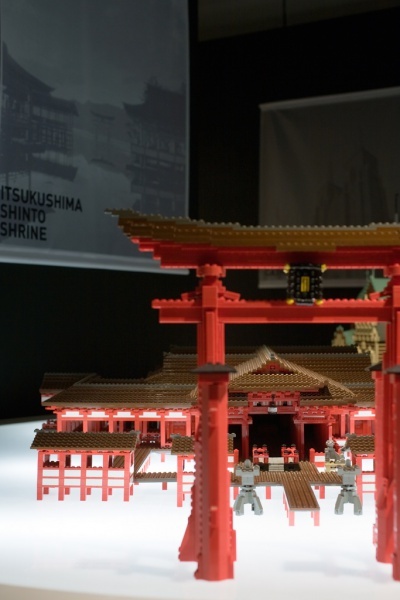 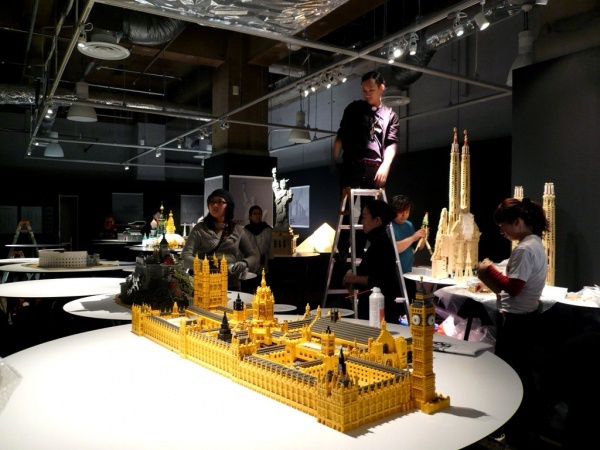 The event entitled “PIECE of PEACE - World Heritage Exhibit Built with Lego” opened at Shibuya’s PARCO store before setting on a nation-wide tour. 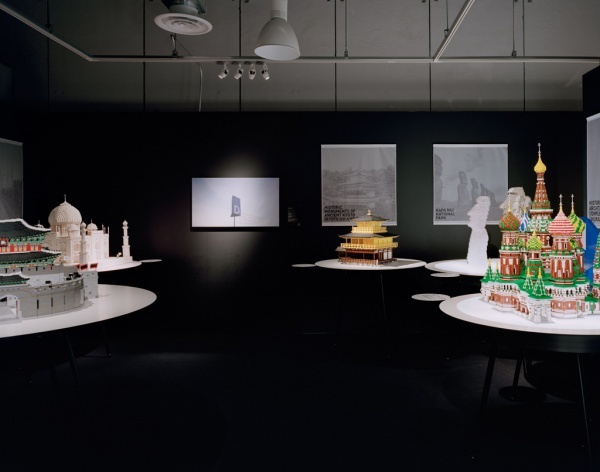 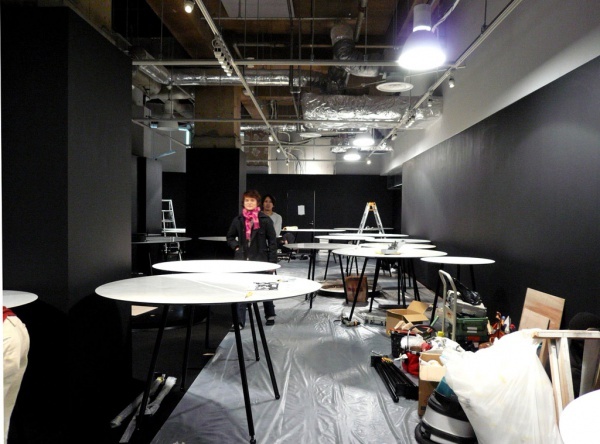 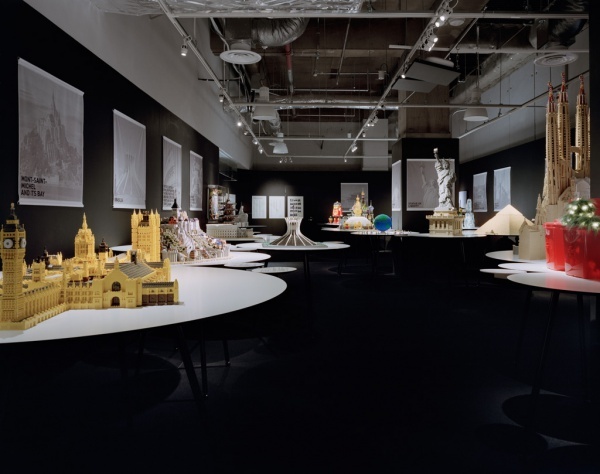 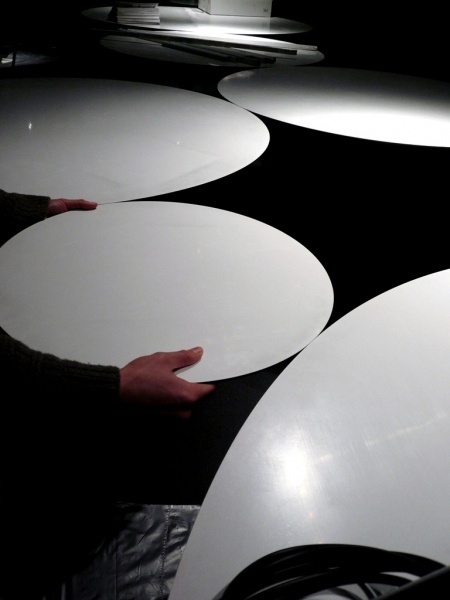 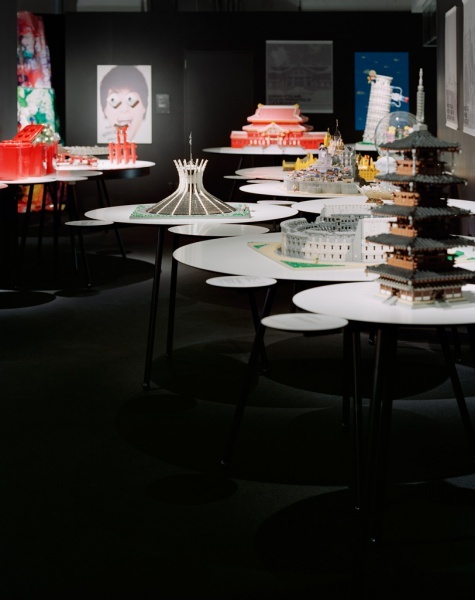 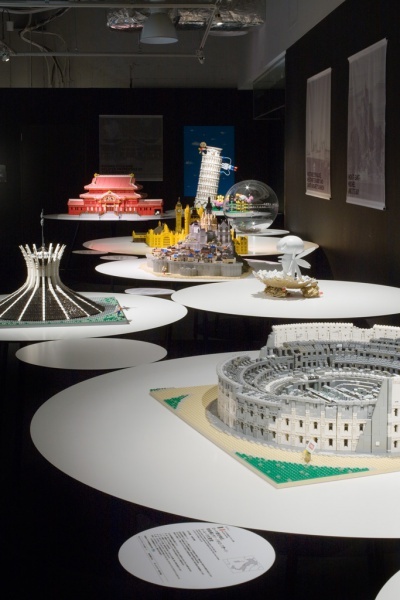 The circular tables of varying sizes on which the Lego exhibits are presented come together seamlessly like a string of beads in any configuration regardless of the exhibition space available. 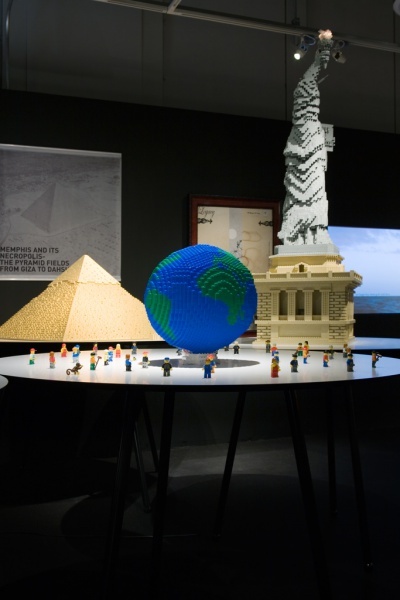 We sought to bring out the vivid colors and jagged contours of the Lego blocks with the help of a spotlight by dramatizing the contrast between the works standing on a perfectly white circle and the surrounding floor and walls covered in black.